The bulls strengthen their hold on the equity sector of the Nigerian Stock Exchange (NSE), yesterday, as more blue chip stocks joined the league of gainers, causing market capitalisation to soar significantly by N517 billion. 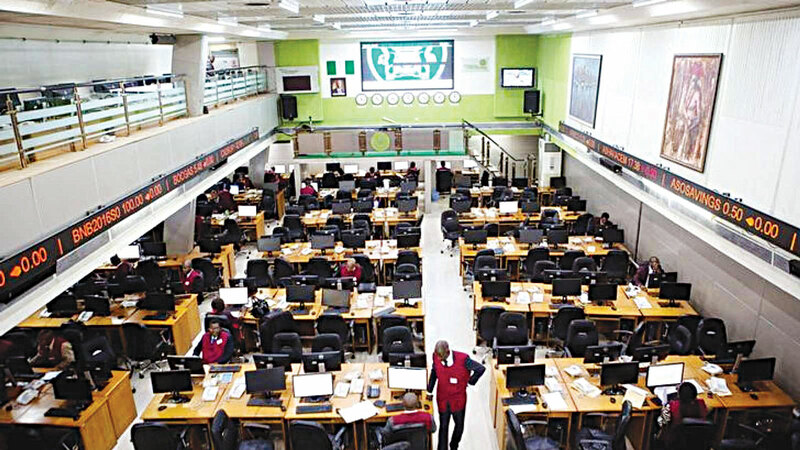 Besides, the volume of shares traded rose significantly, as investors exchanged one billion shares worth N13billion in 8,088 deals, up from 770 million units valued at N7.8billion that changed hands in 7,395 deals on Tuesday. 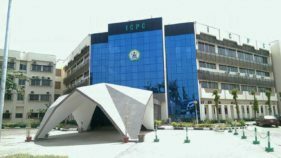 Specifically, at the close of trading yesterday, the All-share index rose by 1,453 points or 3.5 per cent from 40,362.97 recorded on Tuesday to 41,816.11. Similarly, market capitalisation increased by N517billion from N14.363trillion to N14.880trillion. On the price movement chart, Dangote Cement topped the gainers’ chart with 9.50 kobo to close at N247.00 per share. Nigerian Breweries followed with 6.00 kobo to close at N146.00 per share. Conoil gained 3.48 kobo to close at N37.51 per share. International Breweries added 3.01 kobo to close at N60.00 per share. Beta Glass appreciated by 2.56 kobo to close at N53.87 per share. Guaranty Trust Bank added 2.27 kobo to close at N47.25 per share. Unilever appreciated by 2.10 kobo to close at N46.10 per share. Zenith Bank garnered 2.02 to close at N32.02 per share. WAPCO garnered 2.00 kobo to close at N52.00 per share. Julius Berger increased by 1.40 kobo to close at N29.40 per share. Flour Mills garnered 0.90 kobo to close at N33.40 per share. EcoBank TransNational Incorporated gained 0.89 kobo to close at N19.08 per share. Forte Oil gained 0.82 kobo to close at N48.32 per share. Stanbic IBTC added 0.79 kobo to close at N42.80 per share. Dangote Flourmills gained 0.63 kobo to close at N16.80 per share. UACN added 0.59 kobo to close at N18.49 per share.